Aloha College offers a British education for an international community: students are taught the English National Curriculum until the age of 16, when they take their IGCSE examinations with the Cambridge International Board. For the last 2, pre-university years, we offer the International Baccalaureate Programme (since 1990) and the A levels (since 2012). This opens doors for our students at prestigious universities in the UK, Spain, rest of Europe, and North America. All children learn Spanish Language and Culture and all of our students are at least bilingual. We have 46 nationalities in Aloha College, over half being made up of UK and Spanish. The School was founded in 1982 by six teachers, at the behest of local and expatriate families, who invested their own money in what was then and is to this day a not-for-profit-making project. Our Foundation status means that all surplus is reinvested in the school: there is no owner who takes away part of the profits. These are entirely dedicated to improving the facilities and resources for the children. The not-for-profit ethos has been an integral part of the school since it was first established in 1982. The school has grown from the 210 pupils of then to 835 currently, and from one small building which housed everyone to the present nearly 30,000 m2 of buildings and sport/recreational areas. All buildings have underfloor heating, air conditioning and wi-fi. Each classroom is equipped with an interactive whiteboard and a battery of resources which put the school at the cutting edge of teaching technology. Play and sports areas have undergone continual improvements over the last few years. As well as the new surfaces on the sports pitches which are safe and comfortable for the little ones, we are also proud of the football pitch, certified by UEFA. Aloha College inaugurated in 2016 the new Sports and Arts Hall, which covers all our sporting and cultural needs, it was an ambitious project. The facility covers nearly 3,350 square metres with a multi-purpose sports area, a stage professional enough for any theatrical production, plus a gymnasium or multi-purpose hall. School starts at 9 am and finishes at 16.00, except for those days when the children have after-school activities until 17.00 (and later if they have League football or basketball). There is also a breakfast club from 8.15. In the activities programme we offer creative, sporting and academic activities, most of which involve no extra cost for parents as they are given by our own teaching staff. There are additional activities on offer such as tuition in 7 instruments, Mandarin Chinese, Taekwondo and Chess, for example, which do involve a modest cost for parents. All age groups enjoy regular day trips which reinforce their curriculum as well as providing a lot of fun! The standard of play of our sports teams, who play weekly against Spanish and international schools, means that we ​bring home many a trophy. Children have a hot lunch in school, although they may bring packed lunch if they prefer. We give Primary children fruit or milk in the morning and afternoon breaks. Lunches are prepared each day on the premises and parents receive the monthly menu and suggestions for dinner. 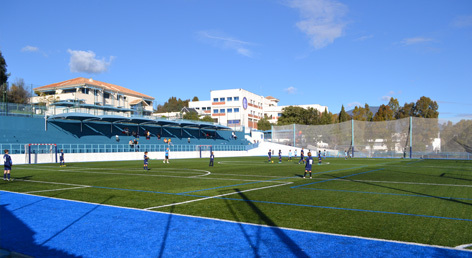 The College operates a bus service to transport pupils to school from the outlying districts to the east and west of Marbella. Entry is by interview and examination arranged through the Registrar. Further information is available on our website. 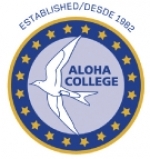 If you follow our blog http://www.aloha-college.com/news/ you will gain an insight into all the exciting activities which form part of our children’s curriculum. IGCSE (16-year-olds): 86% of our June 2016 IGCSE cohort achieved A*-C grades and 42% achieved all A/A*. 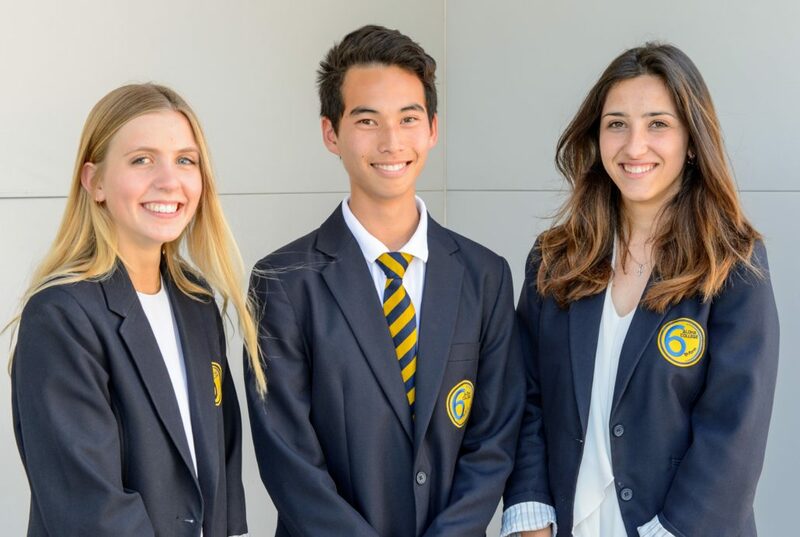 International Baccalaureate Diploma (18-year-olds): 7 students achieved 40 points or above. The average score was 34.3 and 100% achieved a place at their first-choice university. 100% of students passed their A-levels. Aloha College was inspected by the Independent Schools Inspectorate, and their corresponding report meant that our status within Cobis (Council of British International Schools) was upgraded to “Accredited Member”. “An outstandingly caring, supportive ethos engenders a highly empowering learning environment, which enables the school to fulfil its challenging aims”. “The supportive insight and financial acumen of the school’s governors have been key factors in its success. Aloha College is situated on the outskirts of Marbella in Spain’s Costa del Sol. The College is flanked by the championship golf course of Aloha and is opposite a very popular golf academy. Road access is excellent and 3 minutes along the highway takes you to the beach or the marina of Puerto Banús and within 5 minutes you are in Marbella town centre.